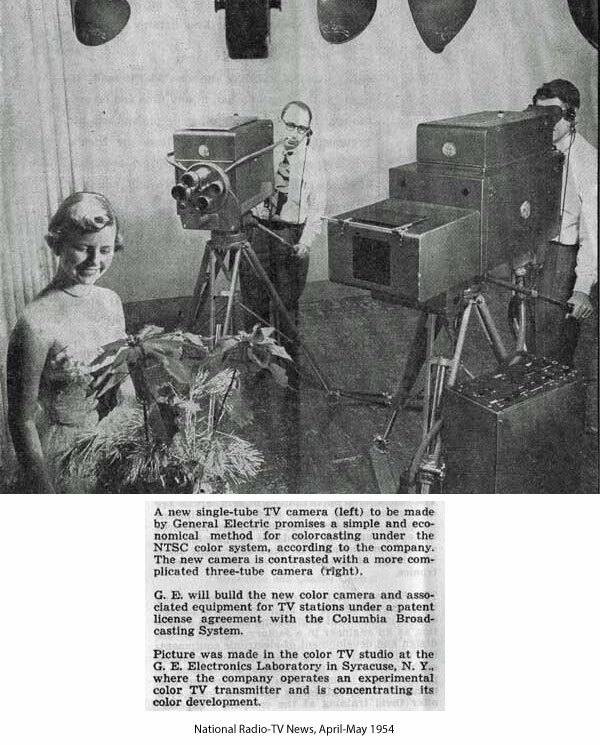 When the FCC approved the NTSC system in 1953, CBS announced its plans to produce equipment for the new standard. 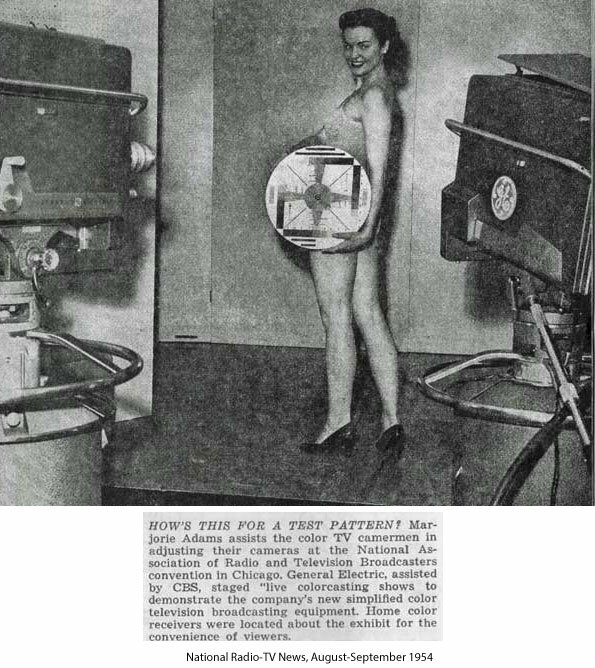 A brochure titled "Color Television Information from CBS" introduces a "new" color television system developed by CBS. It includes glossy 8x10 photos of both the color home receiver and the studio equipment. Each photo has a description attached to the back. The brochure came from the estate of a gentleman who was on the NAB board of directors in the 1950's. Thanks to Brian Dunlop for these pictures and the above information. 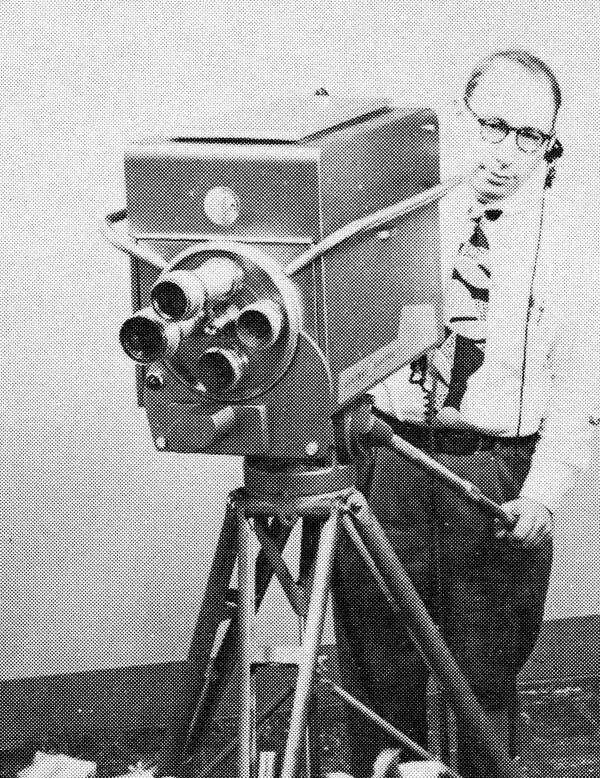 The "new" system described by CBS was the use of its field sequential cameras (modified RCA TK-30s with color wheels) with a new device called the Chromacoder, which took the sequential color pictures and encoded them in the NTSC standard. This General Electric one-tube color camera was made in 1954 for use with the Chromacoder system.